March 4, 2017 /Photography News/ Born on March 4, 1886, Margrethe Mather was a photographer who --through her exploration of light and form-- helped to transform photography into a modern art. Despite her amazing body of work, Margrethe Mather remains an enigmatic figure, being best known for her association with Edward Weston, widely renowned as one of the twentieth century's most important photographers. However, many consider Mather to have been Weston's mentor and teacher. She shared with him her intuitive eye for composition and her innate sense of artistic style, teaching him how to edit an image to its very essence. Being a part of the growing bohemian cultural scene in Los Angeles, she also introduced him to her circle of bohemian friends, who taught him to view life from a variety of perspectives. In turn, Weston encouraged Mather to exhibit her work and compete for recognition. Margrethe Mather was very outgoing and artistic in a flamboyant way, and her permissive sexual morals were far different from the conservative Weston at the time - Mather had been a prostitute and was bisexual with a preference for women. 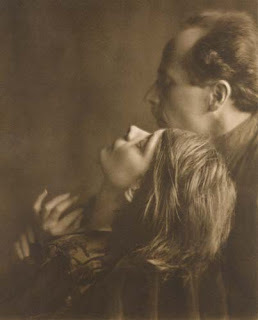 Since Mather and Weston met in 1913 they worked together until he departed for Mexico in 1923 with Tina Modotti. 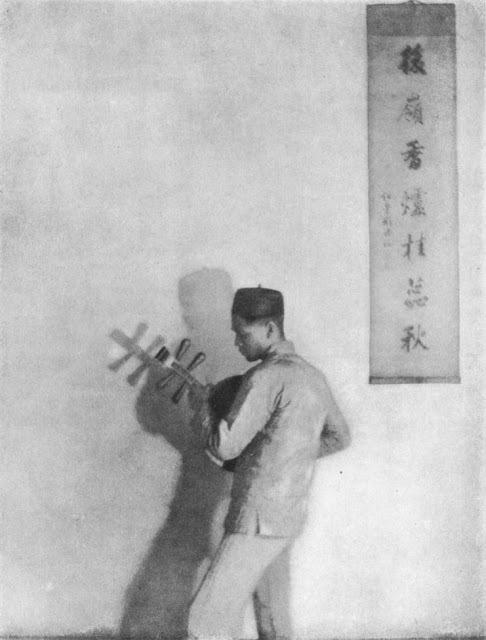 Player on the yit-kim, by Margrethe Mather, Los Angeles, Cal. The photographs Mather made, both alone and in collaboration with Weston, helped set the stage for the shift from pictorialism to modernity. Many of her photographs were more experimental than those being produced by her contemporaries. Mather died on December 25, 1952. Her work is featured in the book, Margrethe Mather & Edward Weston: A Passionate Collaboration (W.W. Norton & Santa Barbara Museum of Art, 2001). ….In turn, Weston encouraged Mather to exhibit her work and compete for recognition!! That's a PASSIONATE/productive collaboration between 2 people and that's a flexible photographer, Margrethe, who accepted the challenge to GROW and to leave her marks TODAY! It's all in the flexibility of a mind, the openness to others opinions, the ambition to grow and precisely THE LOVE & TRUST in return for her collaborator who stood beside her and helped her discover the unknown till her photography was well known! !